Old souls know only too well that fear will not hesitate to destroy love, if given the chance. You must not let fear do this to you. You have a choice. Through the loving power of your forgiveness you give yourself freedom from past pain, even pain from other lifetimes that isn’t entirely clear to you, and the opportunity to begin afresh with fearless, vibrant, loving truth. This oracle come to you with a message. It is safe for you to be seen. In this lifetime, you are meant to be a spiritual leader of sorts, to bring through the light, peace, love and guidance that others around you need. Do not be afraid of their reactions. Some will love you for what you do. Others might not understand or may resist or even attack in fear, but in truth, you cannot be harmed. You shall always be what you are an no one can ever take that away from you. It is simply not possible. No matter how many times you have been blocked, denied, dismissed or abused, you find your way back to the truth of your heart, again and again. So your soul has learned over time that your spirit is indestructible. It has learned that the truth of love is always there for you. Love will always welcome you into its arms and you can feel at home within your heart, even if you don’t always feel at home in the fear-based belief systems that so many still consider to be reality. You have developed the strength of knowing your own truths. You have survived and healed yourself through situations that threatened this truth, and still you are here. You have heard lies and you have chosen to release them, and to trust in your truth. With your loving heart, on your spiritual journey, you have learned how to shine true. This message resonates deep within my heart; it actually brought tears to my eyes. It is confirmation for me, and also for you. We are, indeed, on the right path. Even if the path seems chaotic. Even if we feel like we have lost control. We have learned so much. We have learned to surrender; to trust; to place our tender hearts in the hands of the Divine. We have chosen to persevere despite the circumstances. We have embraced the Light over and over; become portals of Light and Love on this amazing and beautiful planet. We are feeling the connection, the pull to something more. We are turning away from fear and towards Faith. We know in our hearts that we are finally safe. We are standing up for what we believe in; no longer holding back out of fear of judgment. We are casting aside our masks in exchange for stepping into our true authentic selves. We are, quite literally, unstoppable. A force of Love the likes of which has never been seen before. Change is coming. Know it with all your heart. Step into it. Your messages have been so very powerful in giving me Divine guidance and keen insight Dee! I also wake up and read A.O. every morning and it has given me hope, insight into issues that have brought the “Ah Ha” moment, and support and love to keep on my healing and spiritual cleansing path. Bless you for your continuous work. There are times that I am short of words. I have however to say that how much I appreciate these beautiful daily messages from you. They give me hope and energy to carry on. 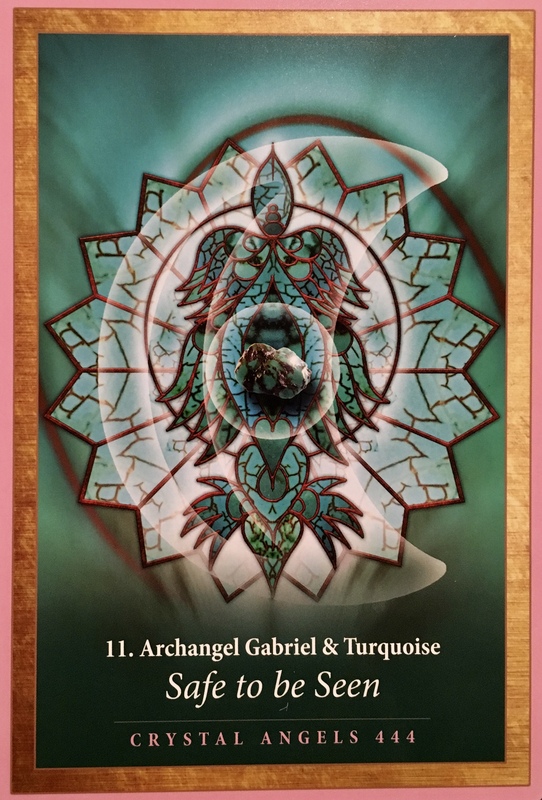 Hi Dee, I had reikki healing the other day and my teacher gave me a free angel card reading. I picked this card, and it resonated very well with me. I really feel I am an oldsoul that is is different from this world. Now, I must face my fears and will not be afraid to be seen. THANK U ANGELS! THANK U Dee for sharing ur wisdom. Needed this card, THANK U!